Brew espresso to yield 2 cups. Transfer to a small saucepan. Add sugar and stir over low heat just until sugar dissolves Remove from heat and let stand until completely cool. Transfer cold mixture to a 9 x 13 pyrex baking dish and place in the freezer. Let chill long enough that ice crystals start to form around outer edge, about 45 minutes. Use a fork to stir crystals into the center of baking dish and return to freezer. Repeat this process until all the liquid has frozen into a satisfying slushy icy mix - total freezing time is probably about 4 hours. 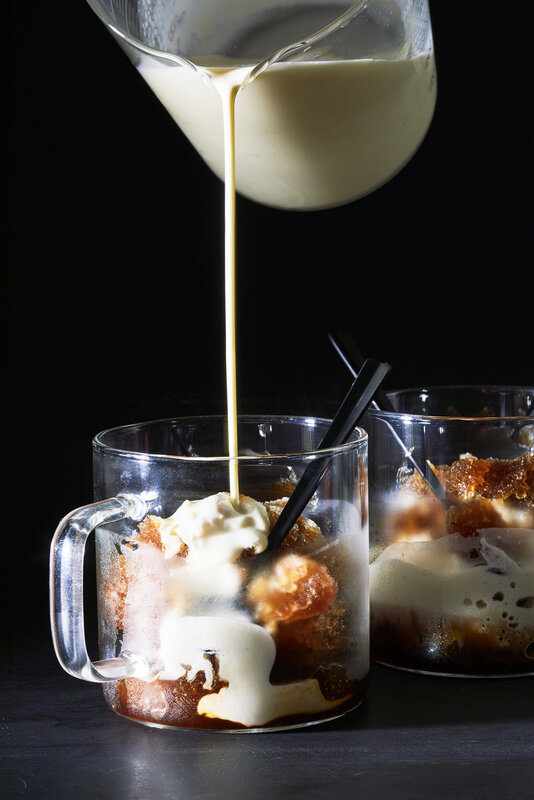 Spoon granita into cups or bowls - as you wish - and serve with heavy cream.